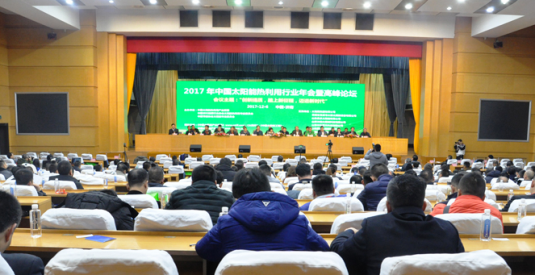 CSTIF invited its members to the annual assembly, held in early December in Jinan, Shandong Province, to discuss the state of the market in China. Titled Innovation and quality: Embark on a journey into a new era, this event with around 400 members of the Chinese Solar Thermal Industry Federation presented an opportunity for CSTIF’s Executive Director Xiaoli Zhang to announce the latest market figures. 2017 saw the installation of 37.23 million m² of collector area, a decline of 5.7 % compared to the year before. Still, the drop in sales was less than in 2016, when the market declined by 9 %. The total capacity in operation rose to 478 million m² (334.46 GWth). Zhang said that the downwards trend in the single-family housing market had continued throughout 2017, whereas the so-called engineering segment, which includes hot water systems in multi-family houses, public buildings and tourism facilities, had been growing once more. CSTIF estimates that the new applications like space heating and cooling as well as industrial and agricultural contributed already almost 10 % to the newly installed collector area. A large portion of the new capacity has again been used to heat domestic hot water in residential buildings. Zhang emphasised that solar space heating would become “a growing force in clean energy heating, guided by the 13th Five-Year Plan (2016 to 2020) and the measures to combat air pollution.” He pointed to several finished projects from recent years, such as the 180 single-family buildings connected to solar district heating in Beijing’s Yanqing district. Zhang also named two key barriers to clean heating deployment in China. First, there is no national policy on renewable heating. And in rural towns, there is some uncertainty about who is going to deal with solar projects. “It’s not clear yet which municipal department will oversee the construction of central space heating in the countryside,” said Zhang. 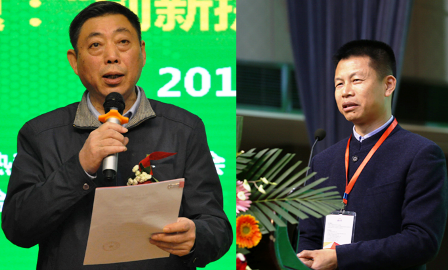 Xinjian Xu, Founder and Board Chair of Sunrain Solar Energy, thanked Zhang for making possible a steady stream of innovation, changes and upgrades during a difficult time. Xu emphasised that industry leaders must stand side by side so that the solar industry will have a bright future. He also underlined the importance of two other topics on the journey into the new era. While the industry had been growing at a rapid pace a few years ago, the spotlight should now be on adding quality to quantity, which includes innovations in system development and business models. Second, the Sunrain founder proposed a return to core business activities. For his group of companies, this means a renewed focus on solar thermal and continuing efforts to strengthen the brand and sales. This news piece is based on the three Chinese articles linked to below. It was written jointly with Yaping Zhang, an expert in solar thermal and a member of solrico’s partner network.